Kythnos is one of the closest islands in Attica, located in the western Cyclades, between Kea and Serifos. It is also called Thermia, thanks to its thermal springs. Chora, the capital of Kythnos, is located on the highest point of the island and is a traditional settlement that maintains all the characteristic features of the Cycladic architecture. Merichas, an old fisherman’s port, is now the main port of the island and has evolved into a modern tourist settlement. Beside the port, there are two main seaside settlements: Loutra, with the thermal springs, and Panagia Kanala, with its unique church. The thermal springs have been functioning since 1857 and their historic building was designed by the famous architect Hansen. The church of Panagia Kanala was built in 1869 and is one of the most important places of pilgrimage in the Cyclades. 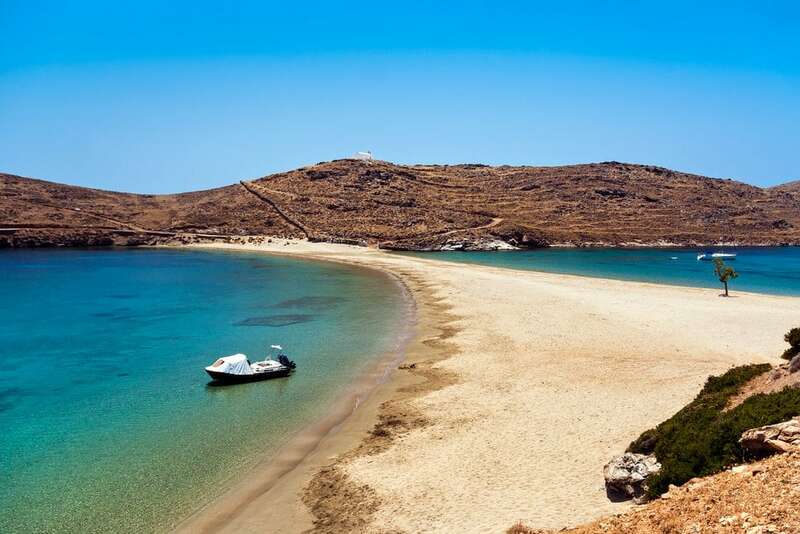 Kythnos also offers many beautiful beaches with crystal clear waters. 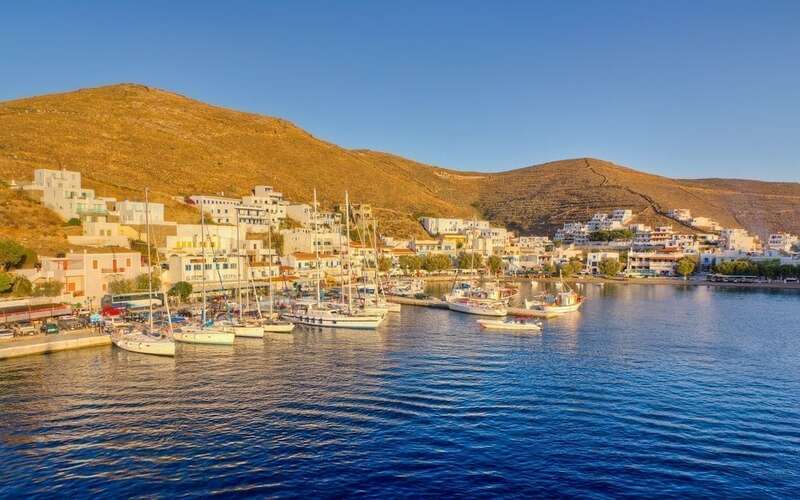 The most impressive is Kolonna, with the characteristic strip of land that connects the island of Agios Loukas with Kythnos.